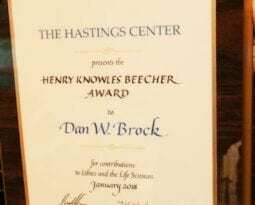 The Hastings Center is committed to strengthening the field of bioethics nationally and globally. We accomplish this goal by publishing journals (the Hastings Center Report and Ethics & Human Research), special reports, and the Hastings Bioethics Forum blog; collaborating with other leading institutions; hosting visiting scholars from around the world; and recognizing excellence in bioethics scholarship and medical care with major awards. 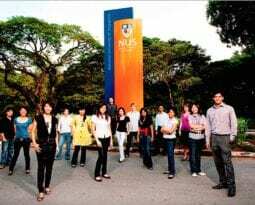 Our collaborations include the Yale-Hastings Program in Ethics and Health Policy and various projects with the National University of Singapore’s Centre for Biomedical Ethics. Our visiting scholars program welcomes scholars to our campus to conduct independent research on issues in or related to bioethics. These researchers include scholars and practitioners include from academia, medicine, law, and the media, as well as students pursuing degrees in the humanities, the sciences, and other professions. 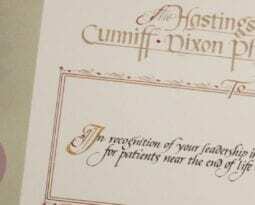 We honor excellence in medical practice and bioethics through two major award programs: The Hastings Center Cunniff-Dixon Physician Awards for physicians who demonstrate exemplary compassion and skill in caring for patients near the end of life and the Henry Knowles Beecher Award for lifetime achievement in bioethics. We rely on people like you to support our work to educate young scholars and provide other services to bioethics. Please make a donation.